I was born a Yankee, and where I come from, bread is more of a specialty than biscuits. 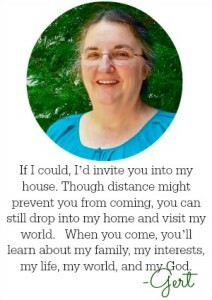 Then I married a Yankee-became-southern-after-a-move man and we raised our kids in southern Virginia – where hand-squished biscuits are often served all three meals of the day. Only problem was, I didn’t know a think about making this kind of biscuits. If I can learn, so can you! Where I got the recipe. My friend Shirley served this biscuit recipe one day at her house. You should have seen my kids snarf them down. So, of course, I asked her for the recipe. We’ve been making this recipe ever since. 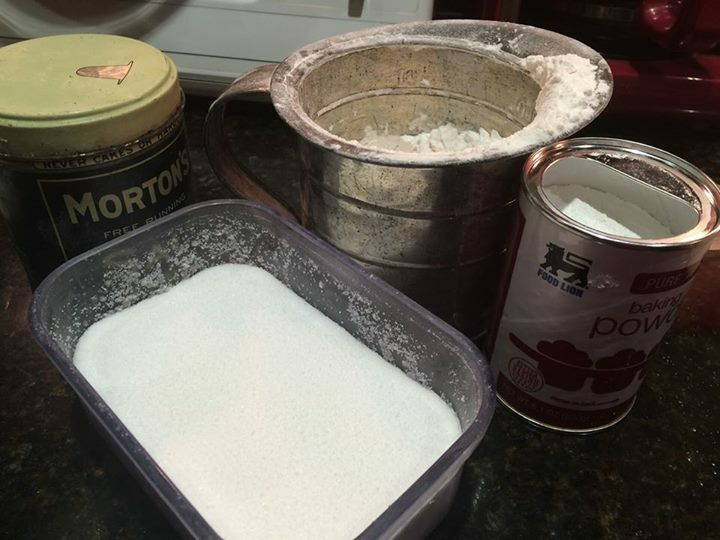 You’ll need flour, salt, baking powder, lard/shortening, milk and an egg. This can be mixed up in just a few minutes. By the time you have the oven pre-heated, the biscuits will be ready to pop into the oven. 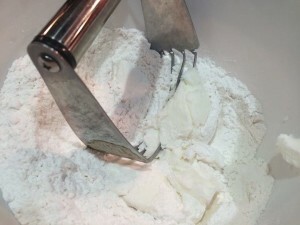 Put your dry ingredients into a bowl, then “cut” the shortening in with a pastry knife or use a fork. Mixing the dry ingredients with the shortening. Once the dry ingredients are mixed together, add the egg mixed with milk. 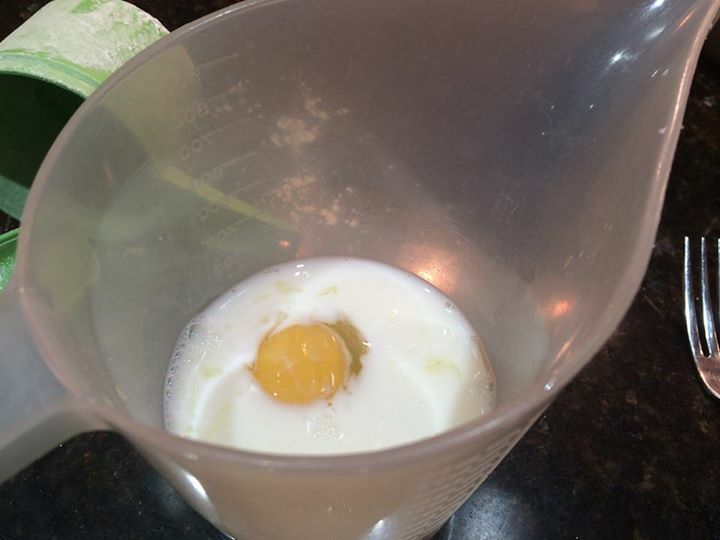 Mixing the egg with the milk to add to the dry ingredients. Making it easy for kids. 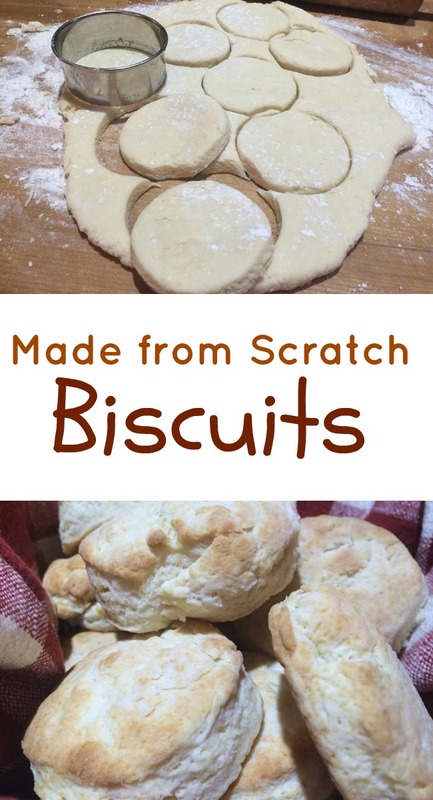 When my kids were younger, I’d get Jason or Sarah Beth to whip up these biscuits. They seemed to have a better handle on them than I did. I had made a chart for them so it was easier when we were whipping up biscuits in a hurry. You’ll see it below. 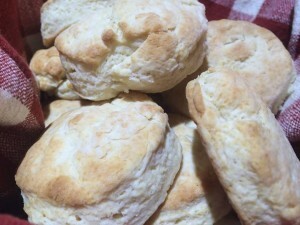 The other day I got this recipe out to make a dozen biscuits to serve with Brunswick stew. 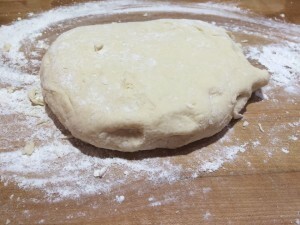 I enjoy the texture of the biscuit dough when I am giving it those “15 kneads” on the counter. I have to admit, making biscuits is fun! 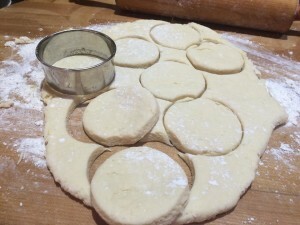 By the time the oven is pre-heated, the biscuits can be ready to pop in and bake. 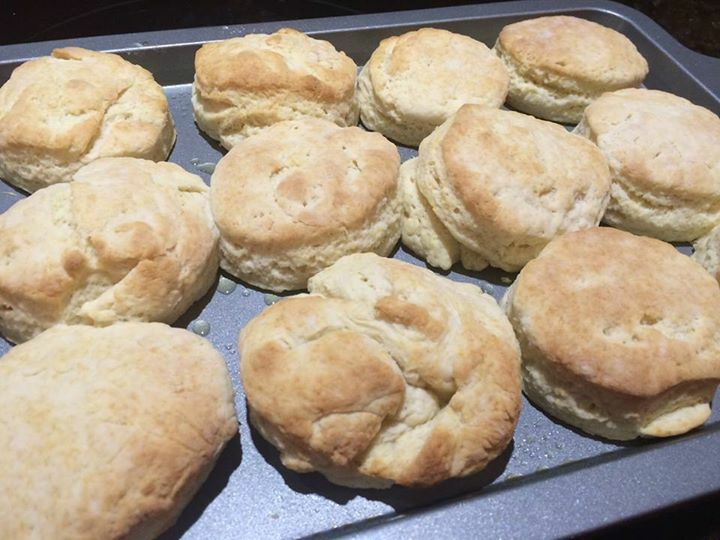 Homemade biscuits are the finest. Knead 15 times on a floured surface.